New Delhi: Amid row over the letter to President Ram Nath Kovind expressing concern at the politicisation of the armed forces, defence minister Nirmala Sitharaman on Wednesday said that credibility of the appeal made was lost after some of the senior retired personnel named in the letter said they “neither signed it nor were a party to it”. In an exclusive interaction with ANI, the defence minister made it clear that she was against the politicisation of the armed forces. However, she asserted that highlighting the strong political will of the government due to which actions such as the Balakot air strike and the surgical strikes took place did not amount to politicisation. "All of us will have to be conscious that we do not do anything which could raise questions on our credibility. Even if one individual has a problem and says that I have not signed it (the letter) or I am not a party to it, then the credibility of the whole appeal is lost," she said. 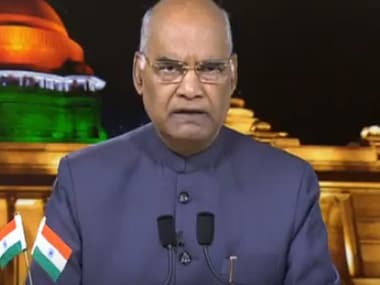 More than 150 veterans of the Indian armed forces reportedly wrote to Kovind urging him to stop the politicisation of the military in the run-up to the Lok Sabha elections. 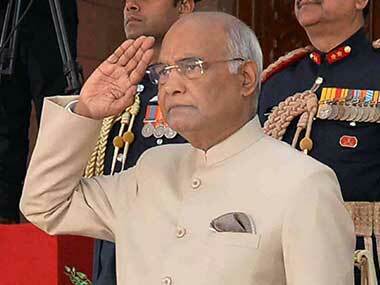 The letter urged Kovind to “take all necessary steps to urgently direct all political parties that they must forthwith desist from using the military, military uniforms or symbols, and any actions by military formations or personnel, for political purposes or to further their political agendas”. The letter went viral before it reached the President. 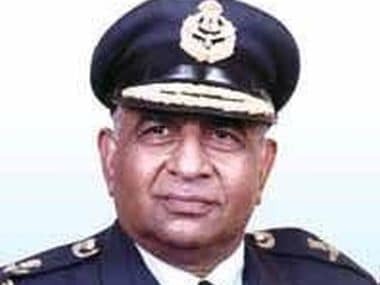 And as soon as the letter came out, two former services chiefs including Air Chief Marshal NC Suri and former Army Chief General SF Rodrigues denied having given their consent for the letter. "We in the services have always done what the government in power ordered us. We are an instrument of the state. We are apolitical. Anyone can say anything and then sell it as fake news. I don't know who this gentleman is who wrote this (the letter)," General (retired) Rodrigues had told ANI. Sitharaman said that she has not met with any of the veterans who wrote the letter. She underscored that though nobody has stopped the veterans from approaching the President, the timing of the letter was bound to raise questions. "All this gives rise to questions, what is this? who has written it?. I concede that they have every business to write to the supreme commander but I am entitled to my right of questioning it," she said. The defence minister stated that while she agrees with the sentiment that there should be no politicisation of the armed forces, she also believes that it is not wrong to highlight the tough decisions made by the government. "Does this mean the government should not speak about what decisions it takes? Without the kind of political will we had and the way we gave a free hand to the armed forces, was it possible to carry out such operations? After the 2008 attack nothing happened,” she said. “It is not like everything happened in 2019. The action was taken in 2016 after Uri attack as well, she added. 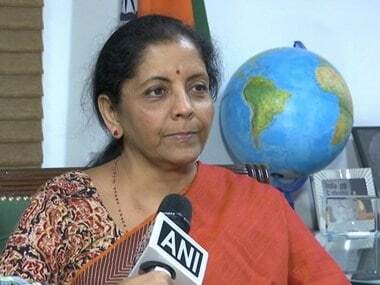 Sitharaman said she was "only highlighting the fact that a government must have a clear mindset that it needs to stand up to defend the sovereignty of the country and therefore, talking about the political will, which made the difference is not the politicisation of the armed forces" The minister said during the political campaign in various parts of the country including Kerala from where she returned on Tuesday, the common people wanted her to talk about the Balakot strikes. The minister also highlighted that unlike the perception that issues pertaining to Pakistan or border don't get much attention down south, youth in huge numbers from the southern states are aspiring to join the armed forces post the Balakot air strike. "I am getting reports that apart from public meetings and campaigning, for recruitment into the armed forces, there is a hike in demand now. People want to join the forces as they see what is happening. In Tumkur, people asked me in Kannada to speak about Balakot air strikes".